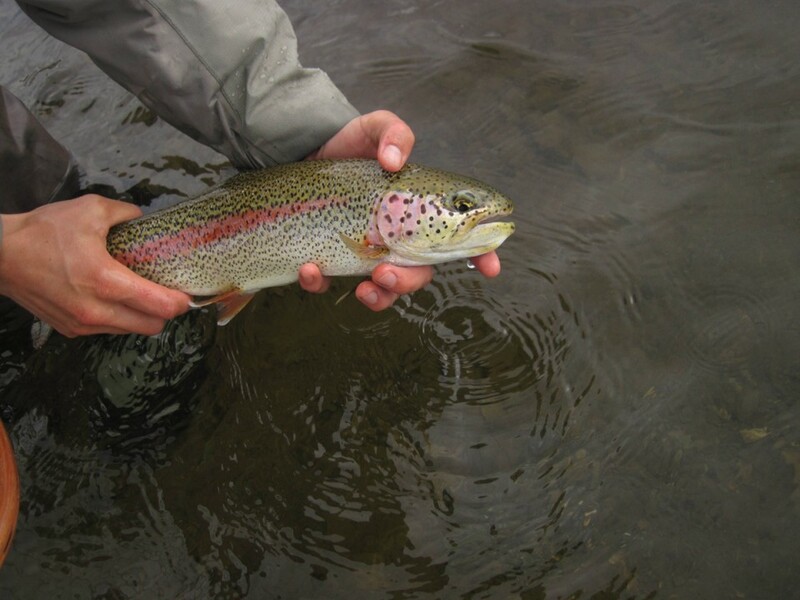 Seven strong, young anglers flew west and made a relatively fine afternoon of portaging, dragging, and rowing to the first camp on the South Fork. 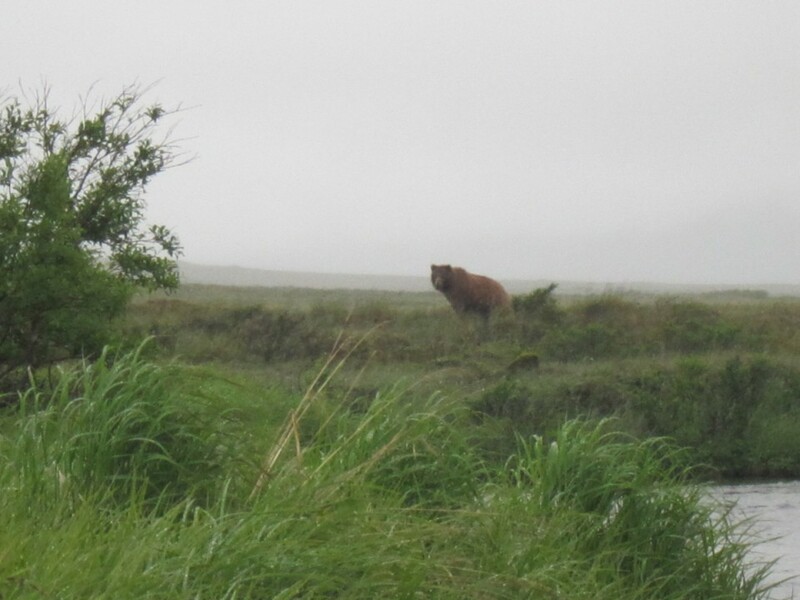 The log refers to “a little combat rafting” down the creek but the water level was up so; “how bad could it have been?” We watched a healthy Brown Bear leave the creek carrying a fish and hustle off to hide from us. 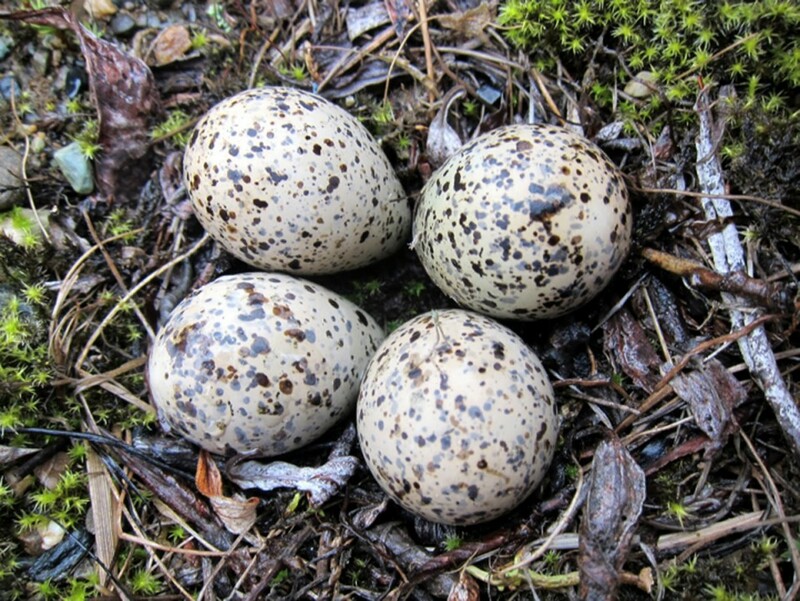 Harlequin ducks and Common Mergansers flushed and Arctic Terns greeted us with rasping shrill cries. Air temperature cool and there were few bugs. 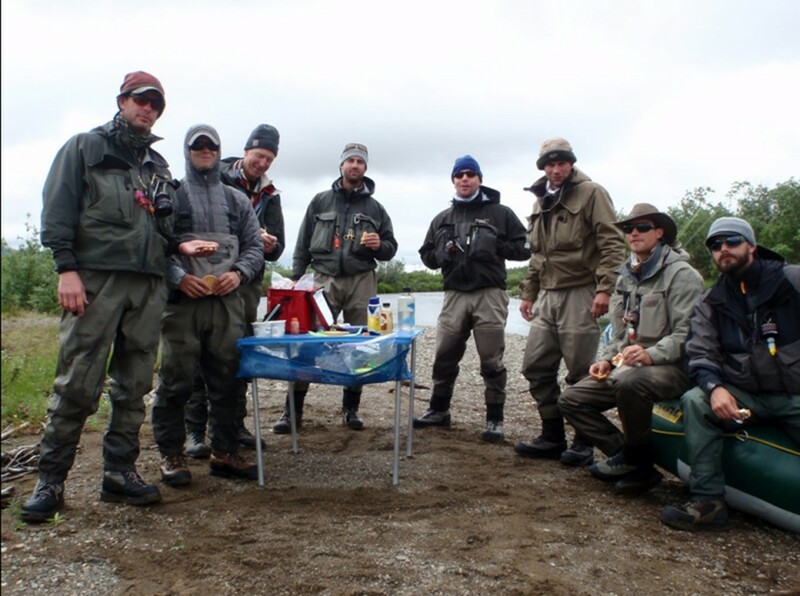 Before the week was over I would appreciate what an amazing bunch of anglers and outdoorsmen I was travelling with. 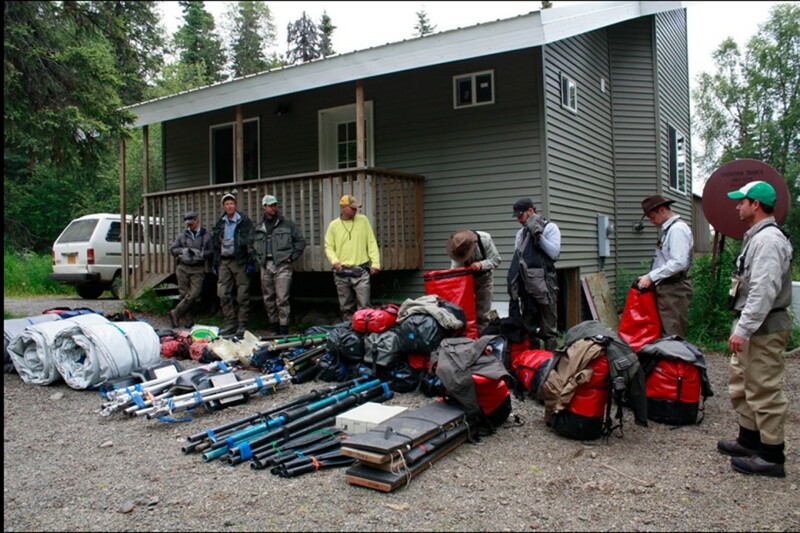 That night we gathered some firewood, set up tents, and put together some fly rods. 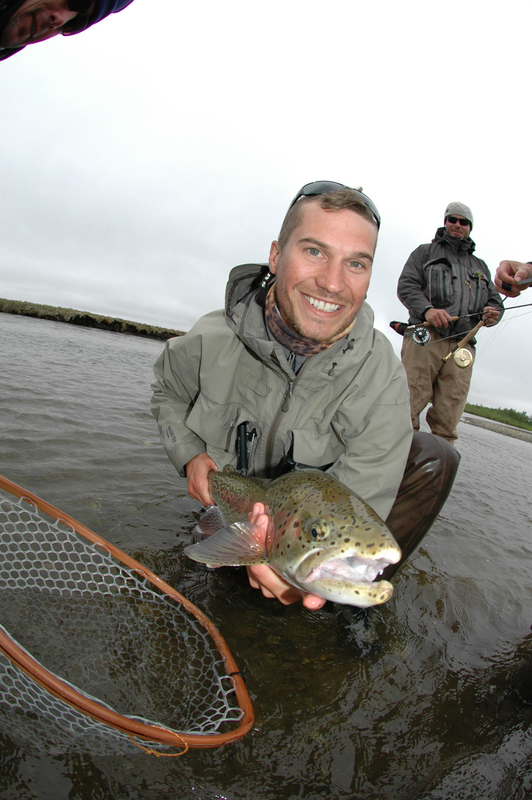 Adam released 2 Rainbow Trout and 1 Sockeye Salmon and then we slept in preparation for what was to come tomorrow. 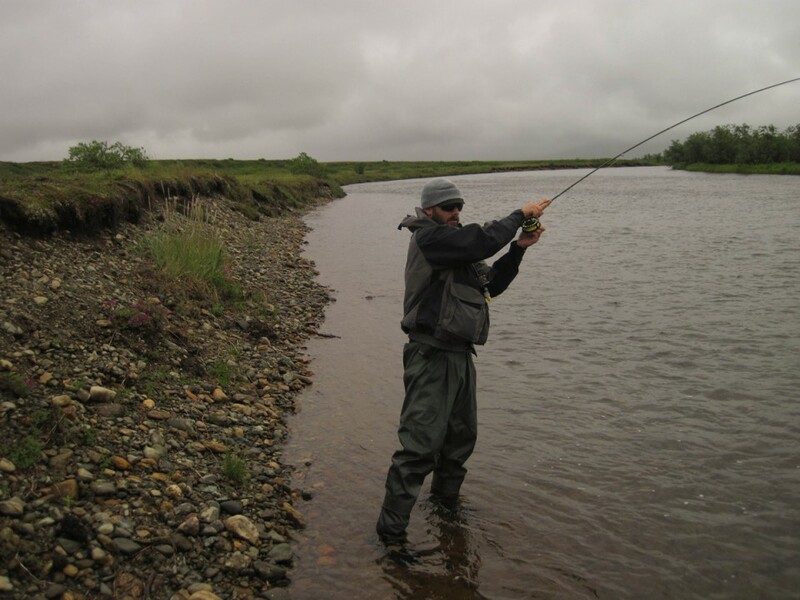 From the log of July 21, 2010: “Overcast but the river level dropped overnight, water gin clear”. We decided to walk further up the South Fork. If there was ever a group with strong legs who were eager to explore this is the group. 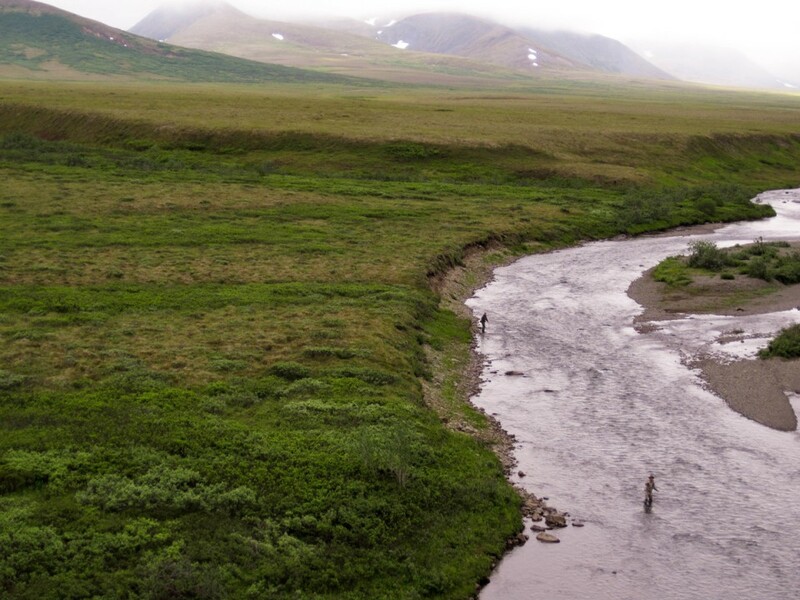 We hiked upriver across the tundra looking for pool and riffle structures that might hold salmon and were not disappointed. 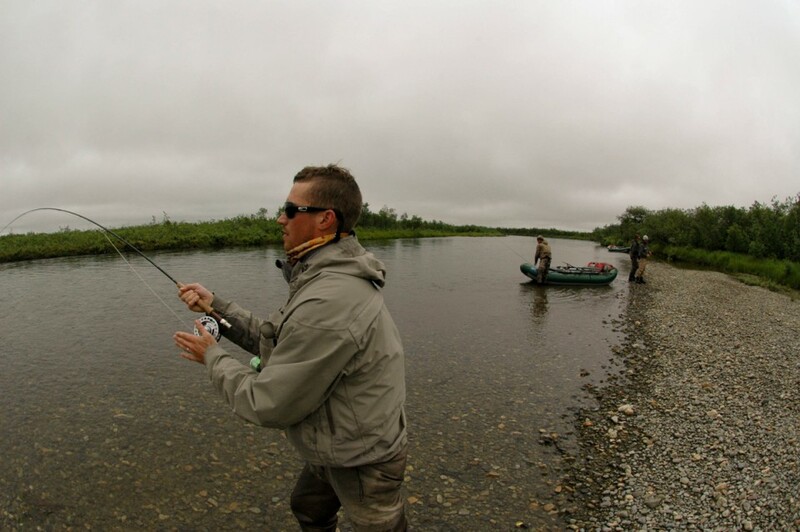 The South Fork like other Alaskan rivers normally fishes better as one descends toward the more nutrient rich lower river. 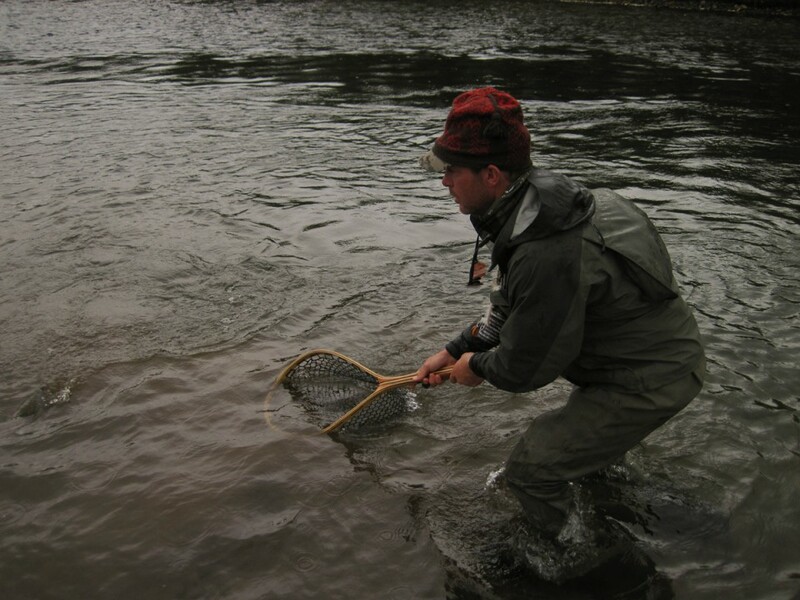 However the Burke group was comprised largely of anglers with great breadth of fly-fishing experience and creativity so the results from the upper river would have one think that it was the prime water. 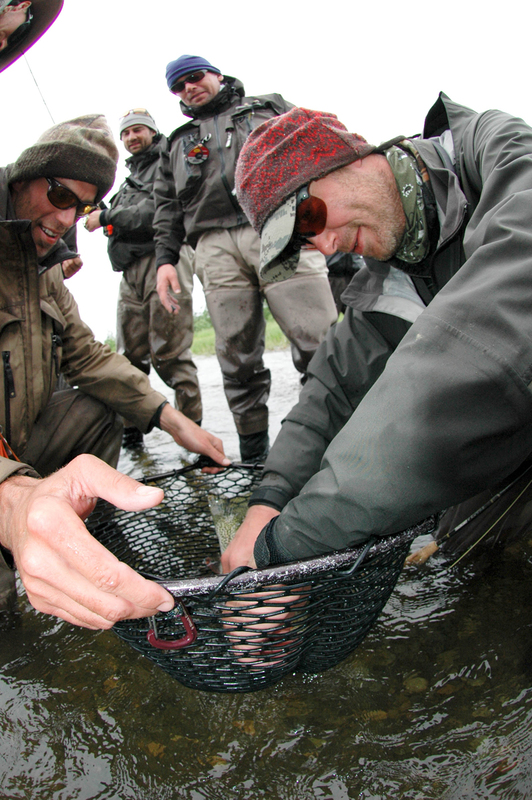 On day two Adam Burke and Dave Balducci released 13 Rainbows, some Char & Grayling, and 3 species of salmon from my boat. 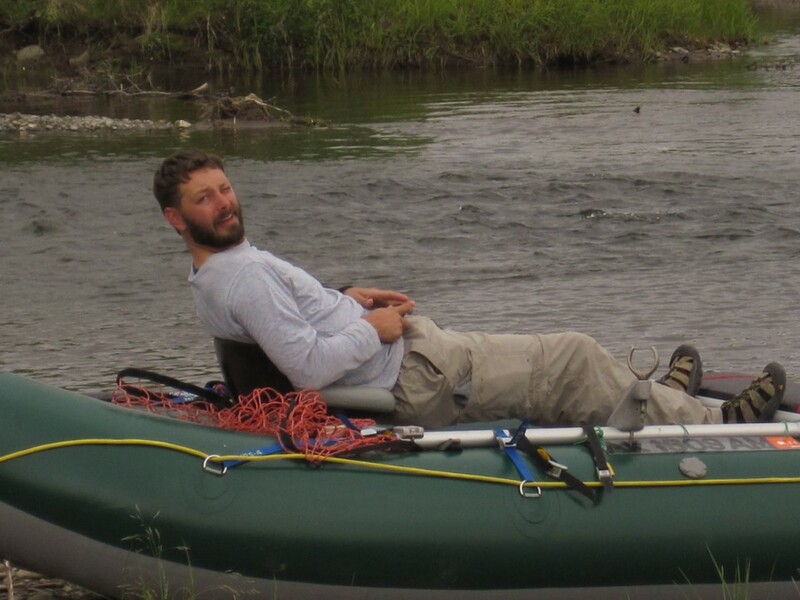 The log recorded similar results from the other 2 rafts. 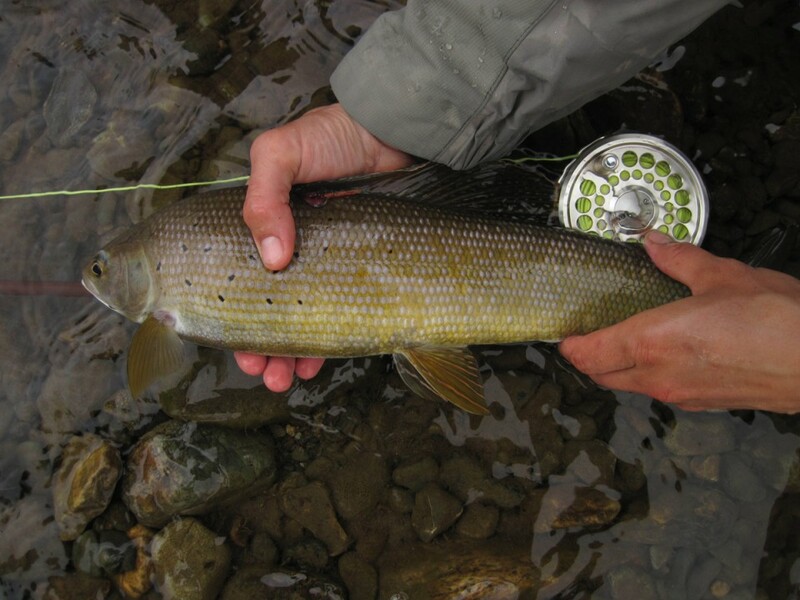 For some anglers, Chris Beard and Jordan Bunnell, for instance it was their first experience fly-fishing for Arctic Grayling and Dolly Varden Char. 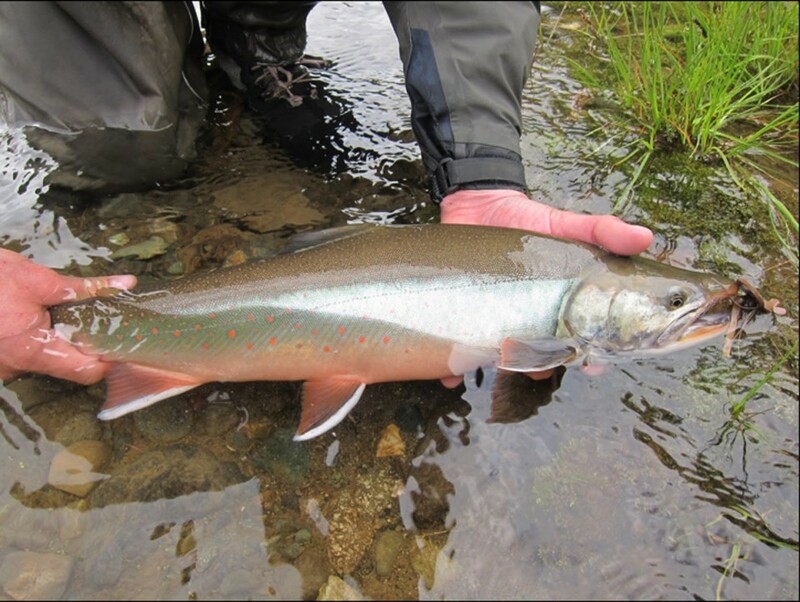 It’s good to remember how remarkable it is to see your first Grayling dorsal fin, or the improbably Pink Spots against the olive and chrome side of a Dolly Varden Char. 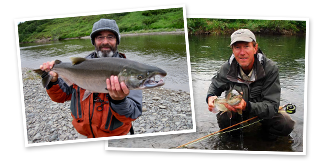 An Alaska fly-fishing river trip with family or friends focuses on the fishing but it obviously has so much more depth to the experience than the fish. 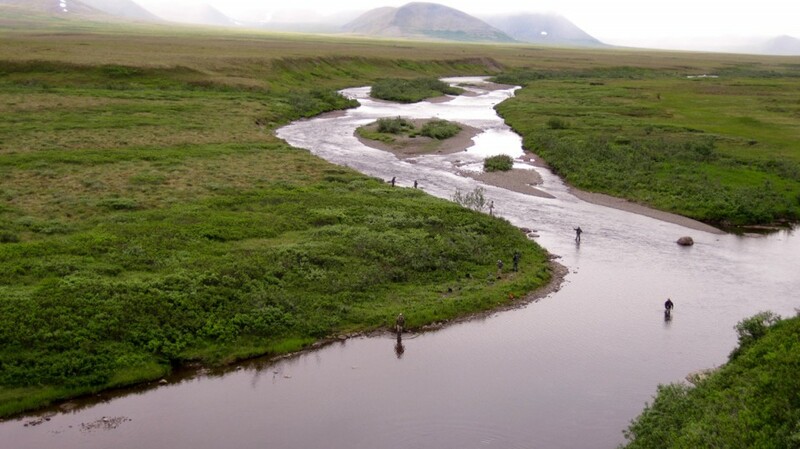 For three days the Burke party travelled through the mountain dominated tundra landscape under fairly ideal conditions. 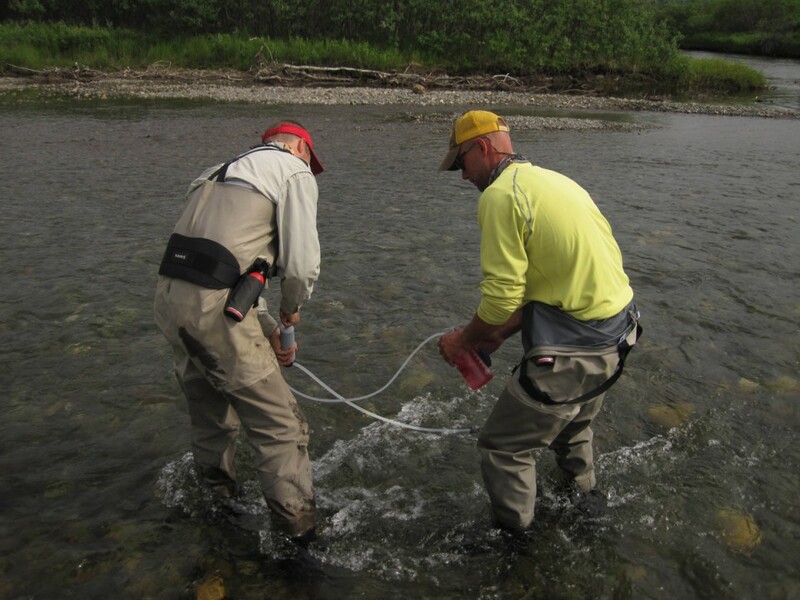 On the fourth day we exited the mountains and began casting the mouse to woody debris and cut banks as the river began to meander across the flood plain. 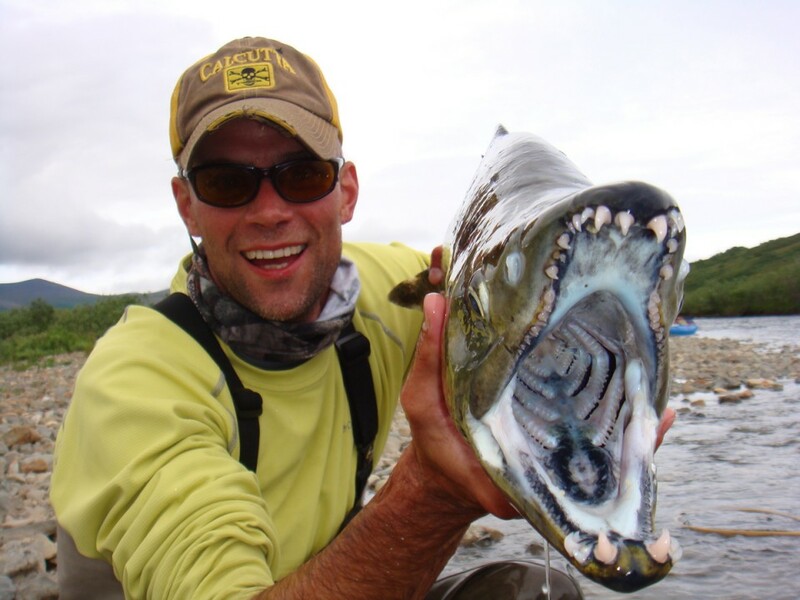 I fished that day with Seth Arentsen and Jason Robertson. 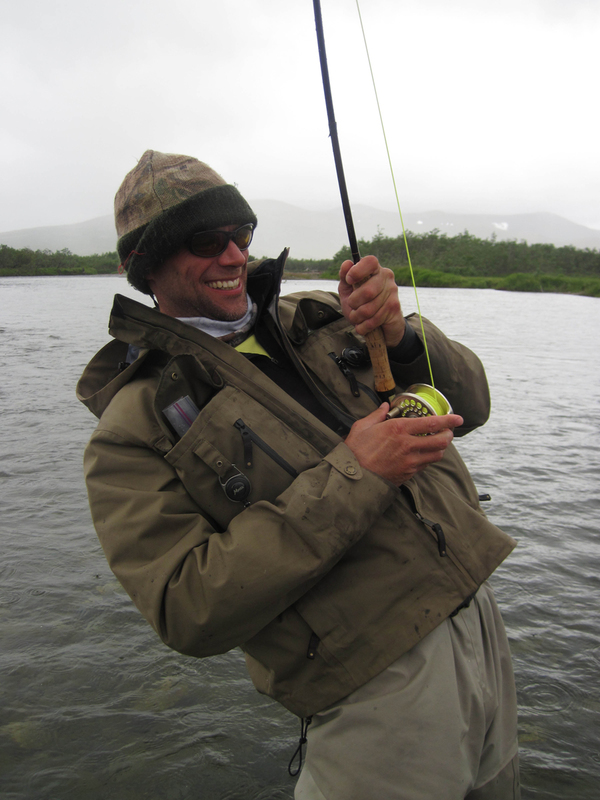 A bit of sun, a bit of wind, lots of fish, few insects. From my own reflections; I find that so much of what is profound about a trip like this is the people. 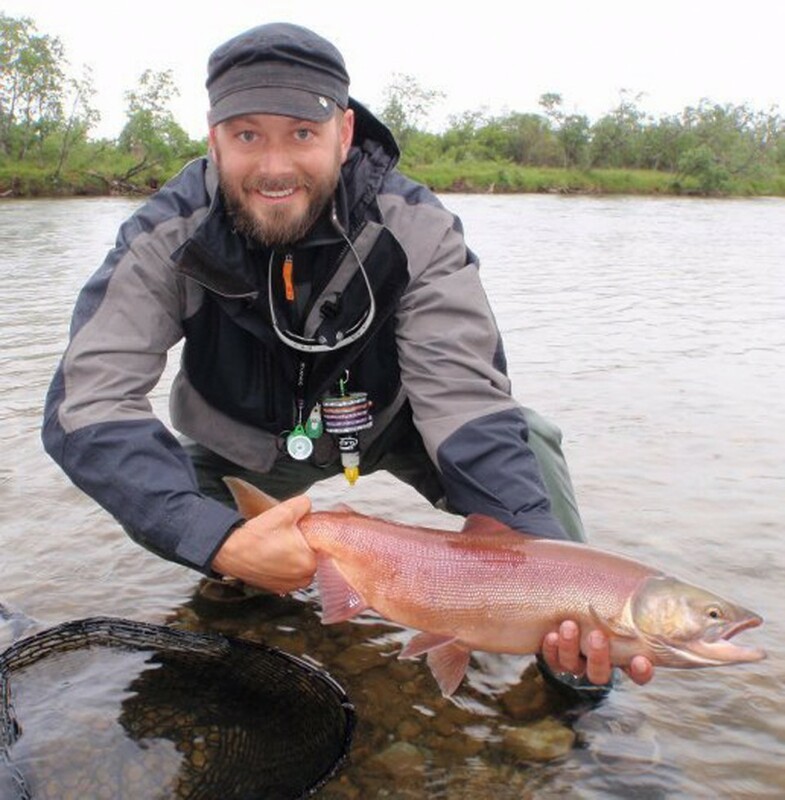 Indeed we are travelling through a stunning landscape, and generally the fishery can be counted on to provide great experiences, but our success really depends upon how well we work together to solve the problems that confront us. 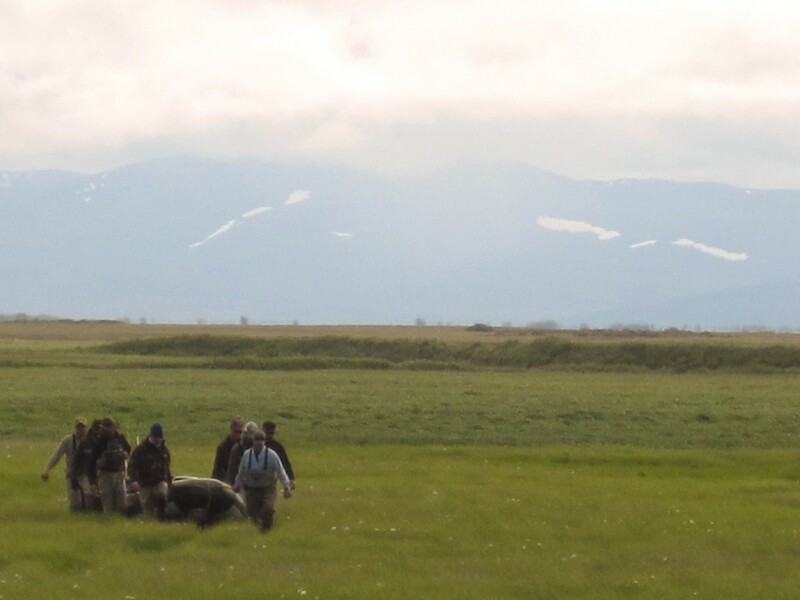 A group that can enjoy the spirit of interdependence and cooperation elicited by the sometimes-harsh demands of bush travel will enjoy the rewards. 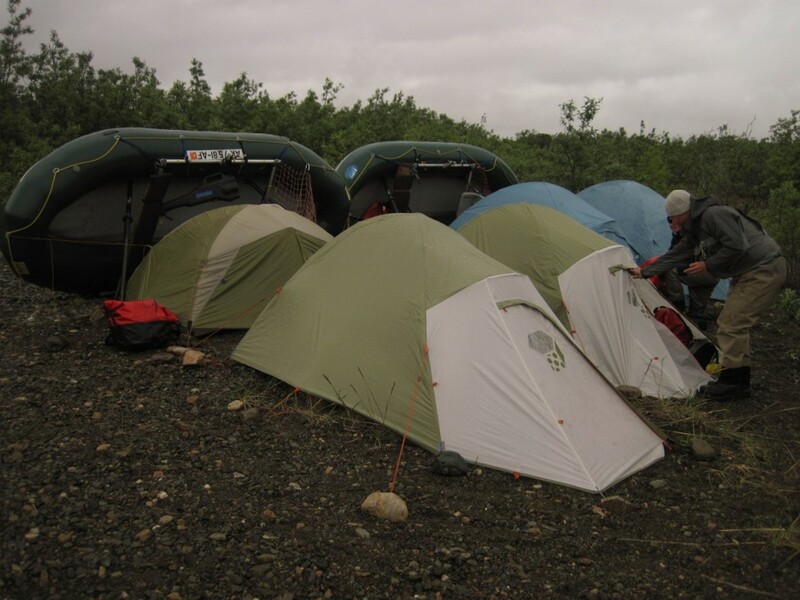 We camped on the coastal plain at a notable salmon pool having a tent site where Yupik Eskimo people have traditionally come to hunt Moose and Caribou in the autumn. 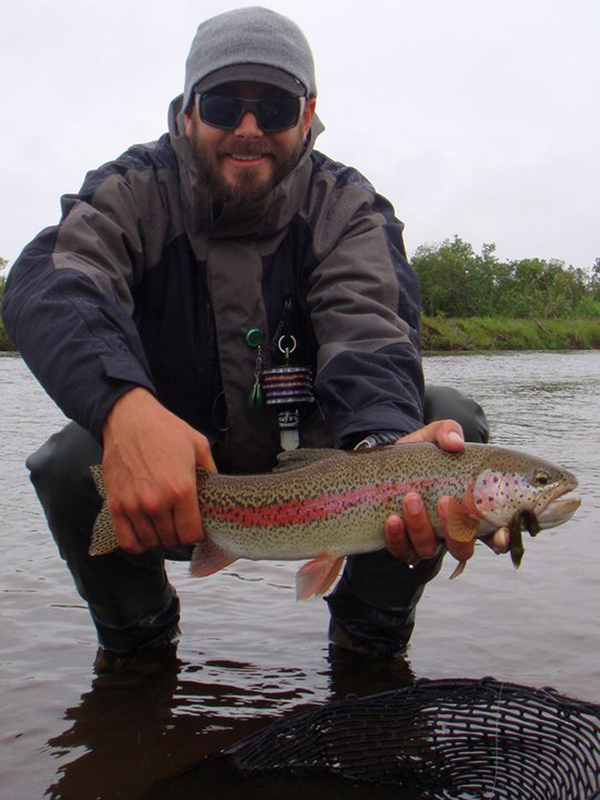 On that evening Jay Vann, an exceptional trout & salmon angler, took a 12 year old Rainbow Trout with USFWS Togiak Wildlife Refuge tag # 33450 at the camp pool. 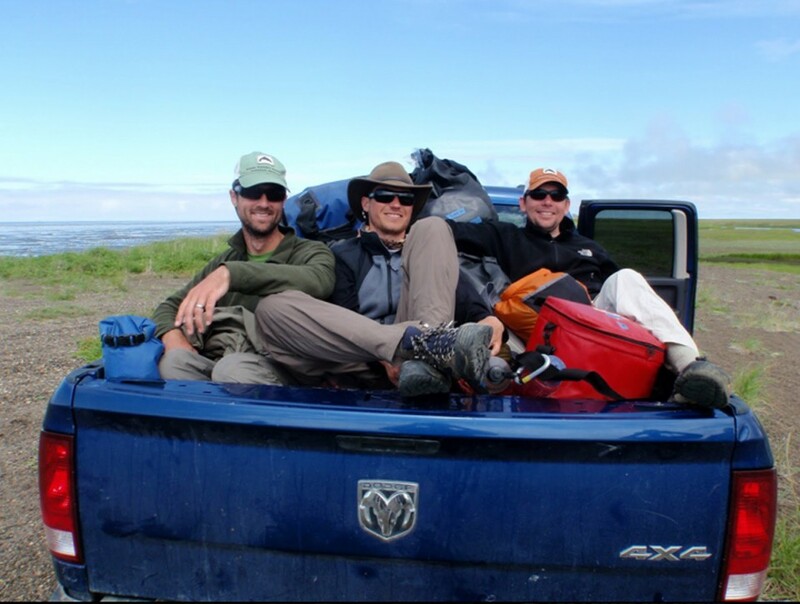 From this point forward we were never more than a few dozen miles from the Bering Sea and the river gradient flattened. 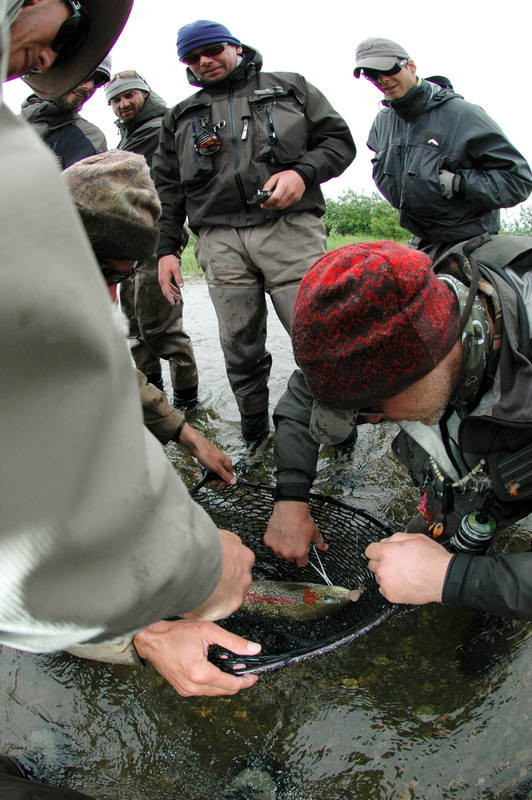 On the morning of July 24, 2010 “Jordan began with two fine Jack King Salmon”. 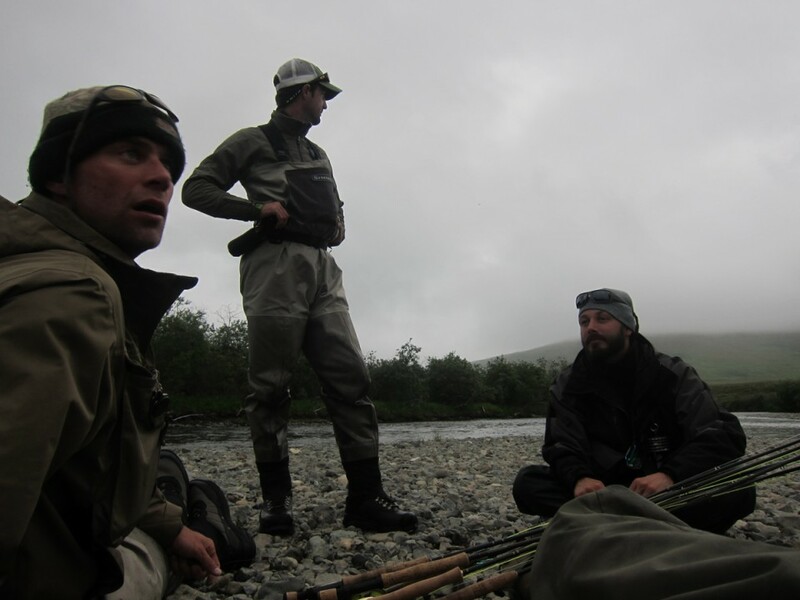 The notes go on to say it was a really long day of fishing with mention of vast numbers of Char released. 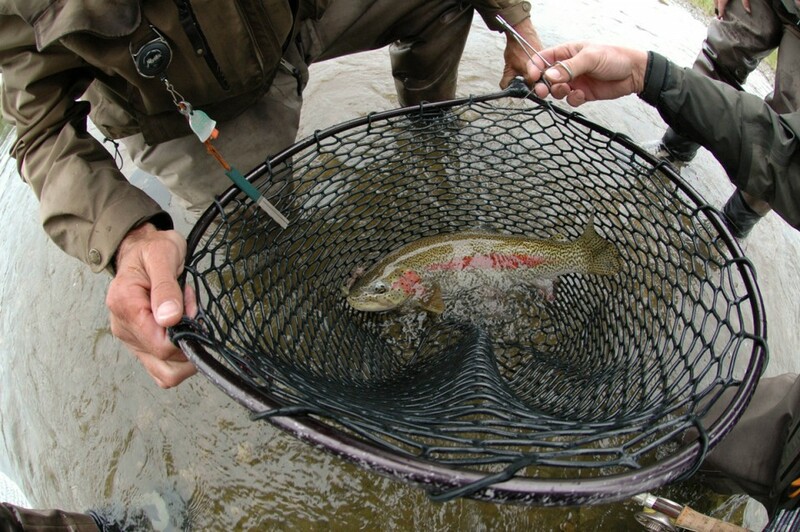 There are a few anglers in every crowd who’d rather catch fewer trout but catch them exclusively on dry flies. 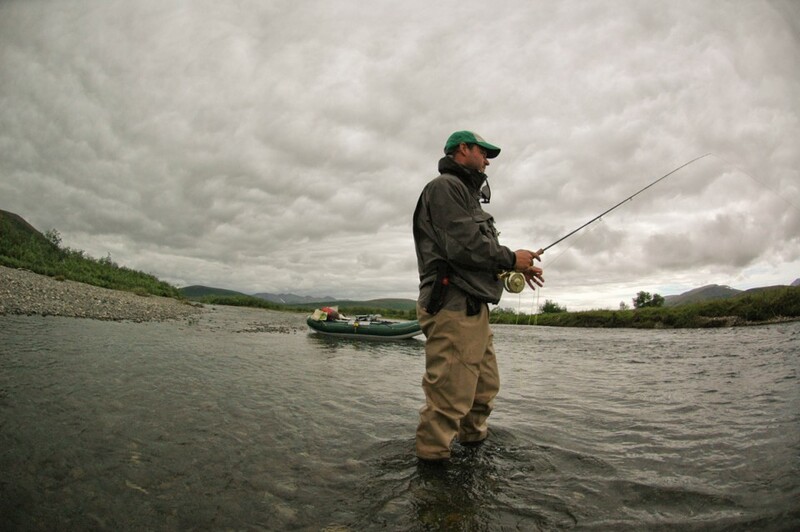 This is a rare position to maintain in Alaska where so much of the fishery is for carnivorous trout and char but it can work if the dry fly is a mouse and if the angler is an animal. 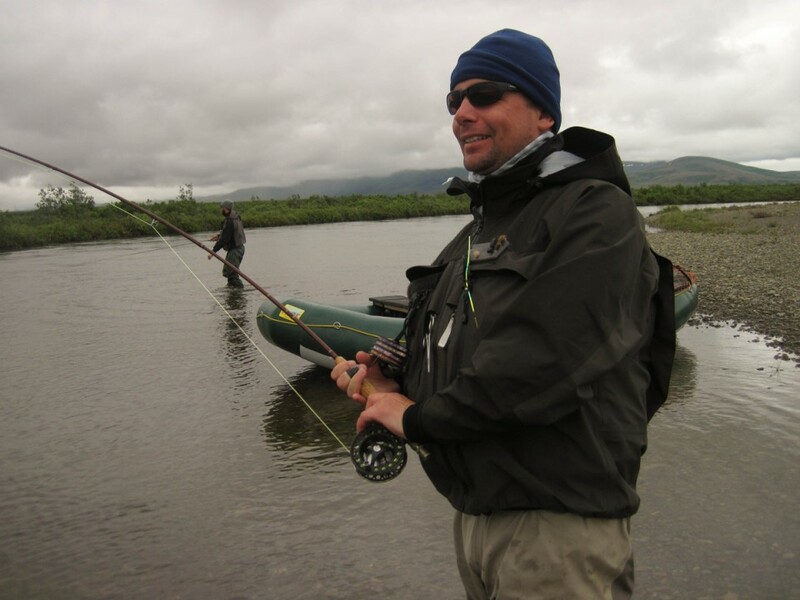 From the log of July 24, 2011: “Seth switched to the mouse and took an exceptional Rainbow Trout!” Seth reported: “He was the fish of my life and getting him on the mouse and being able to share it with my friends made it even sweeter.”…. 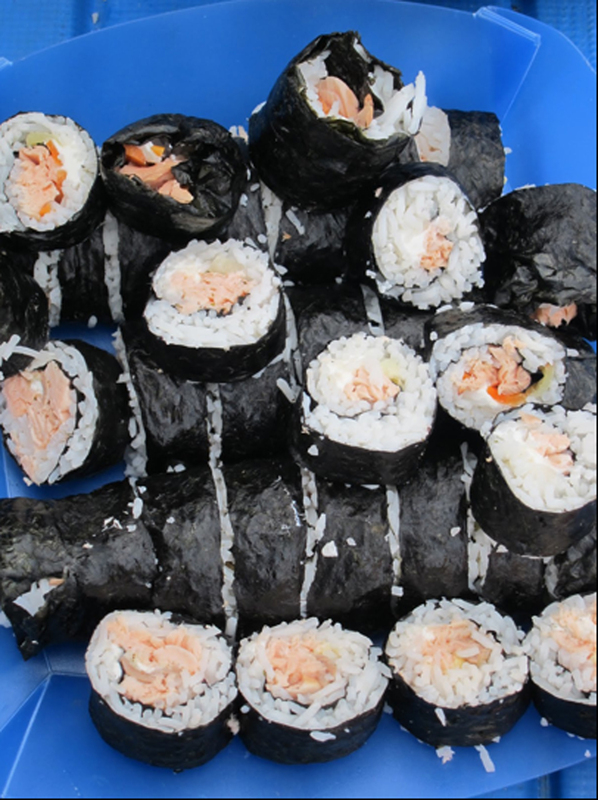 Later Jay provided a fine salmon for sushi. 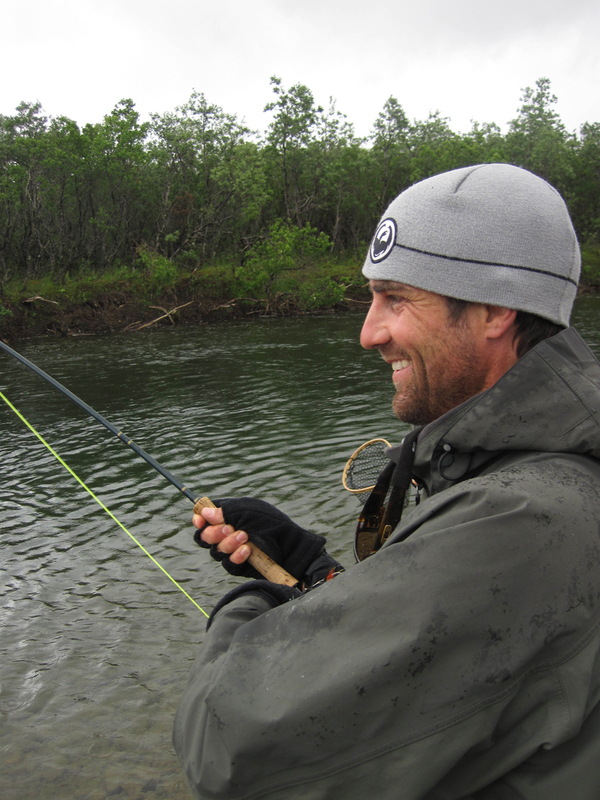 As we travelled downstream we observed our surroundings and the fishery change. 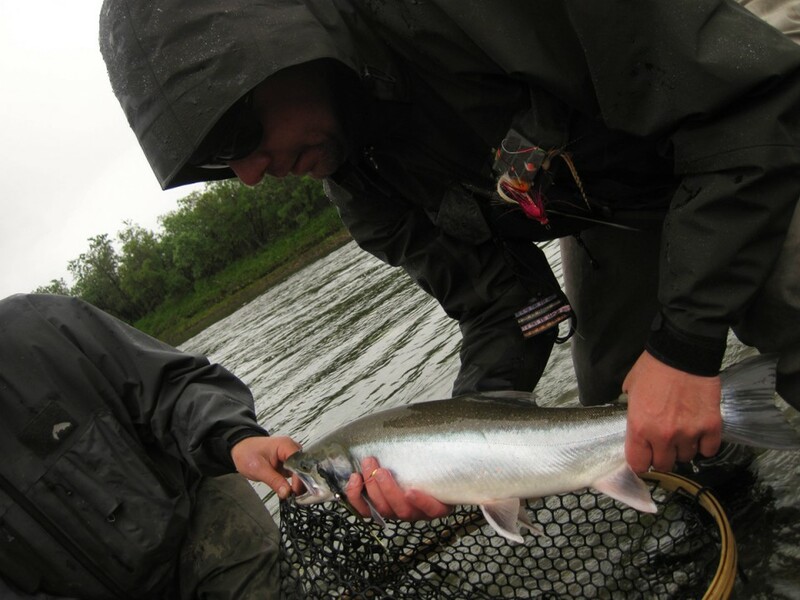 We’d seen Chums constructing redds and likewise observed Kings with white colored tails. 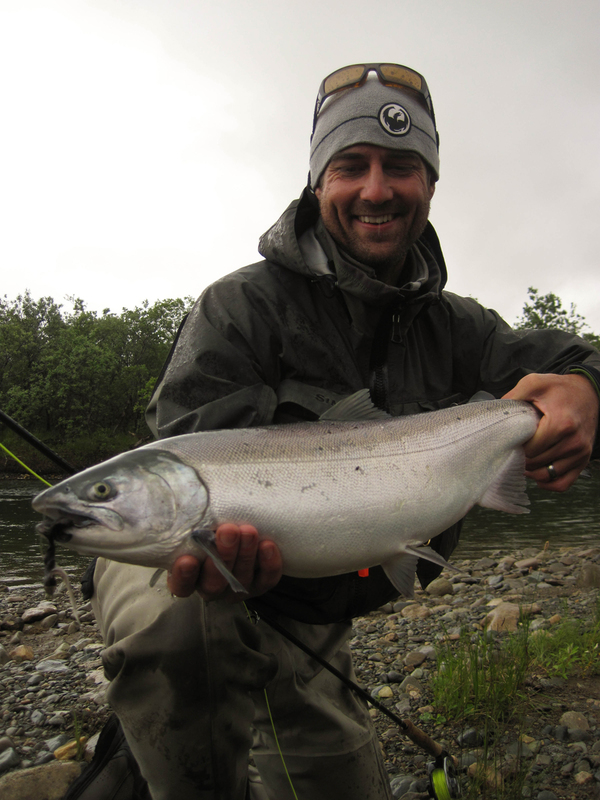 In local guide jargon “White Tail” is slang for a spawning King. 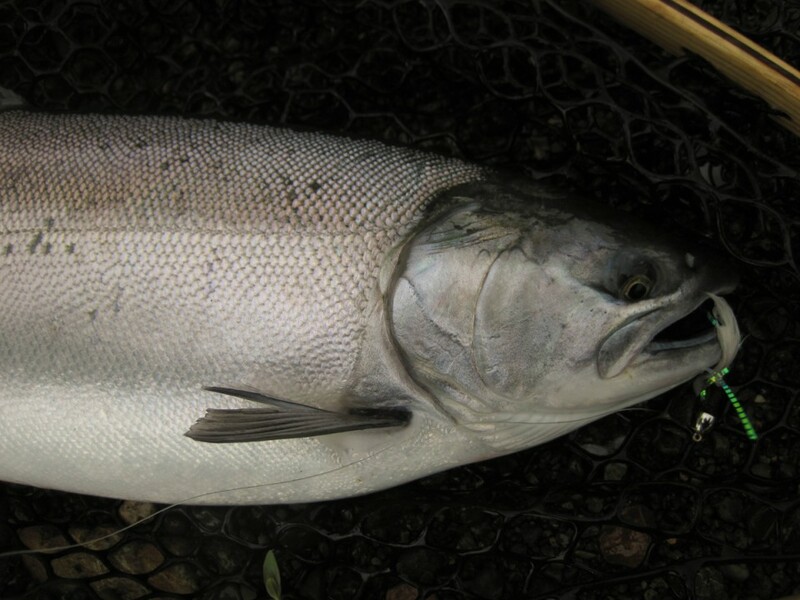 It refers to the change in skin color caused by the powerful tail thrusts a King Salmon produces to push big cobble and gravel aside and create a redd for spawning. 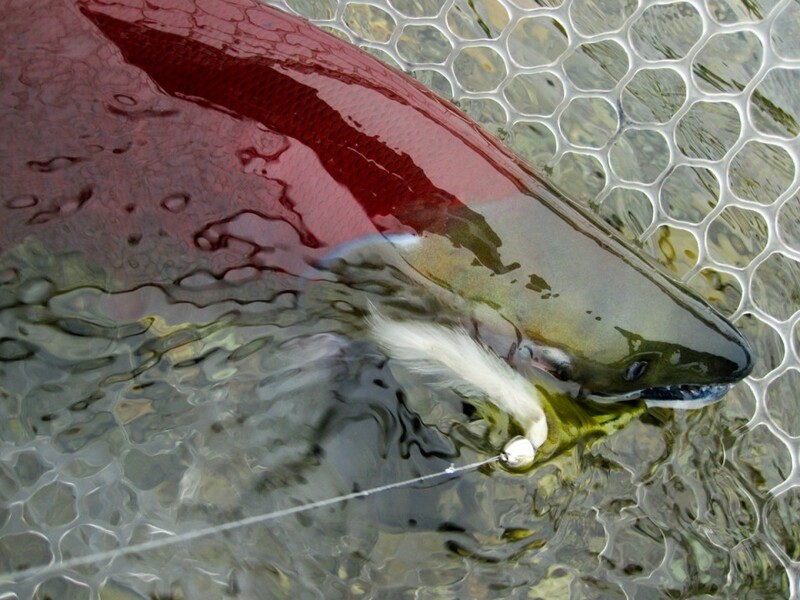 The tail is highly visible and a cue that Chinook eggs could be feeding the local resident fish. 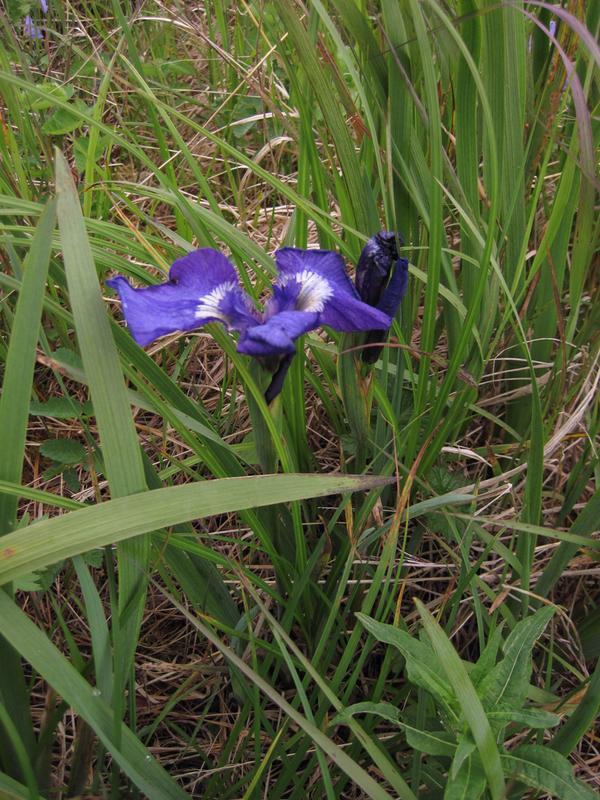 The season has changed more toward autumn with fewer territorial calls of male songbirds, notably the Golden Crowned Sparrow, whose song dominated the tundra airwaves just a few weeks ago. 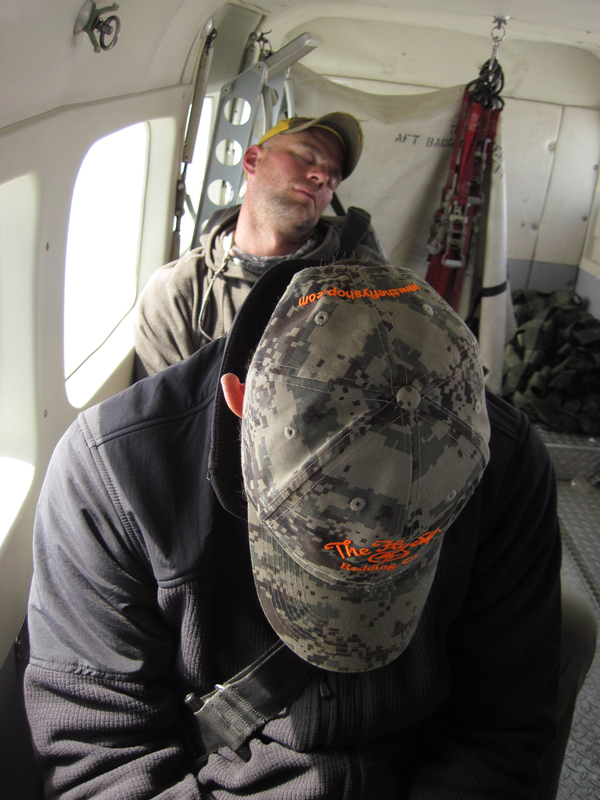 Unquestionably this type of travel takes a toll on the participants. One’s exposure to the sun and wind is continual which makes the moments for relaxation at days end stand in sharp contrast. 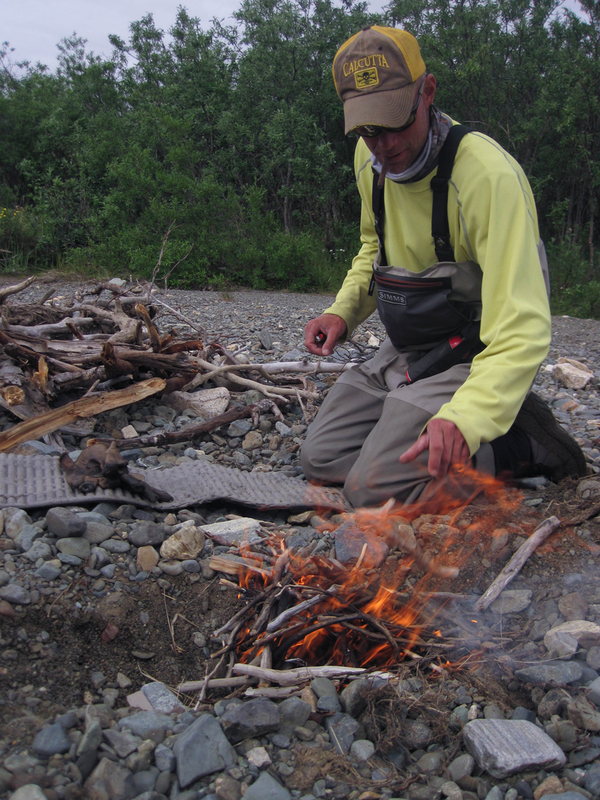 There is much to be said for tasty appetizers at days end and a chance to get out of the waders! Perhaps a beverage. 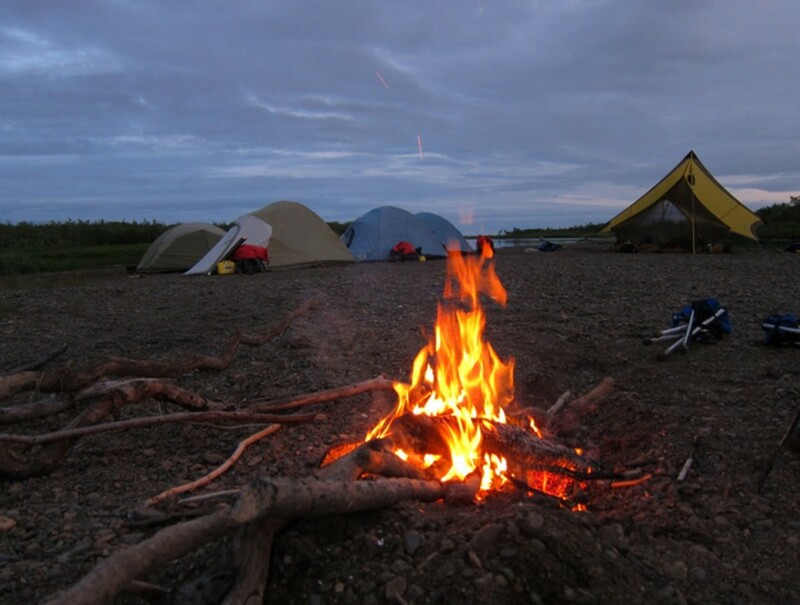 Over the course of sixty miles and seven days; lot’s of enduring memories, images, and stories were laid down like song tracks on a favorite album. 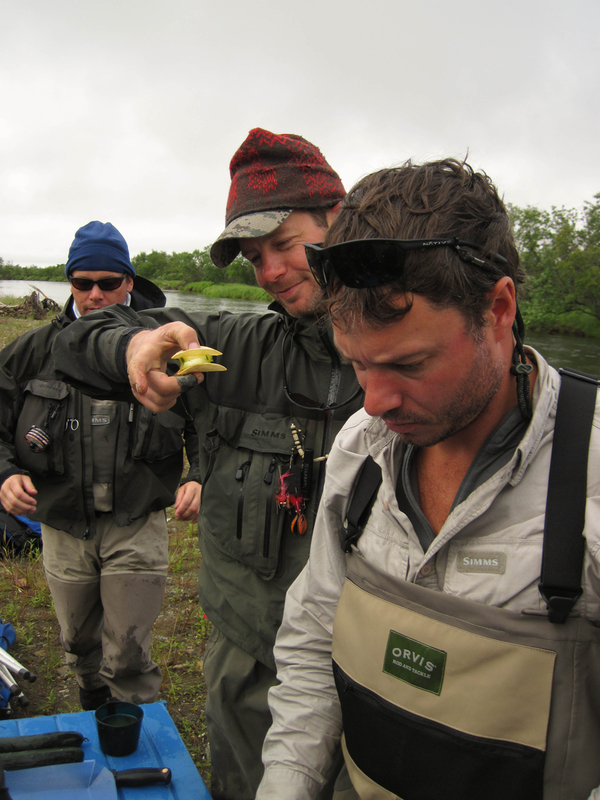 The Burke guys earned their successes and conversely sometimes the rain turned “sideways”, and perhaps water came over-top the waders. Those memories too, are forever intertwined with the trophy moments. 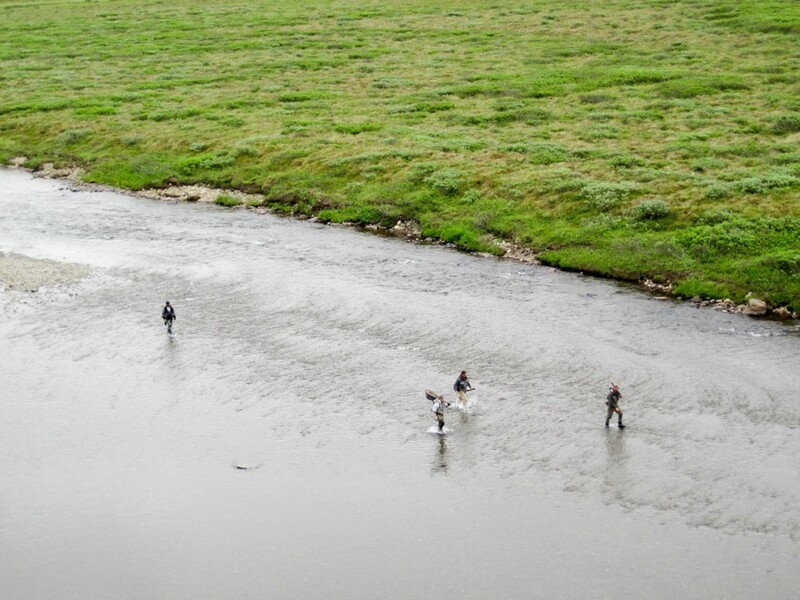 Fishery notes: The Burke group caught and released 9 species of native fish in a week and collected some fly fishing observations of 3 species which were unusual in my experience on Alaska’s western Bristol Bay rivers. 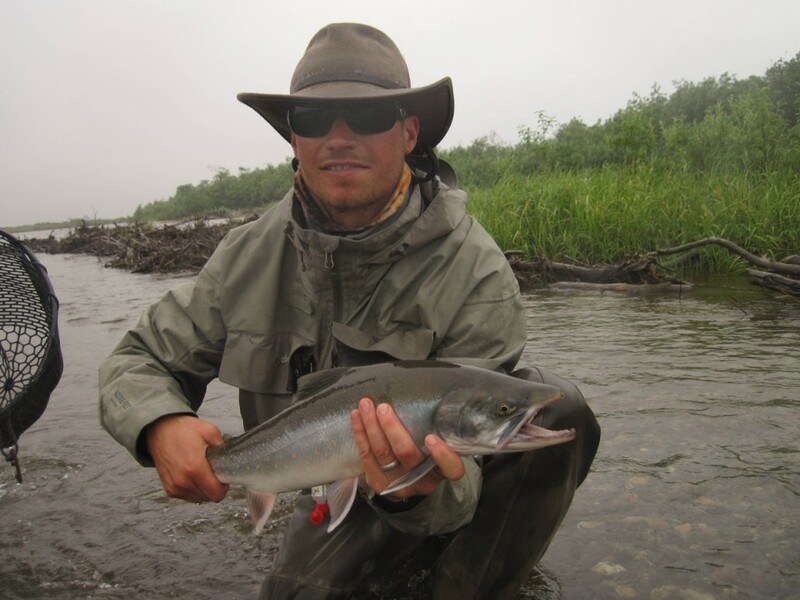 The range of North America’s most primitive, or perhaps a better term is “ancestral” Char, the Lake Trout was extended down the South Fork to within 3 miles of brackish water (about 60 river miles below it’s typical lake habitat). 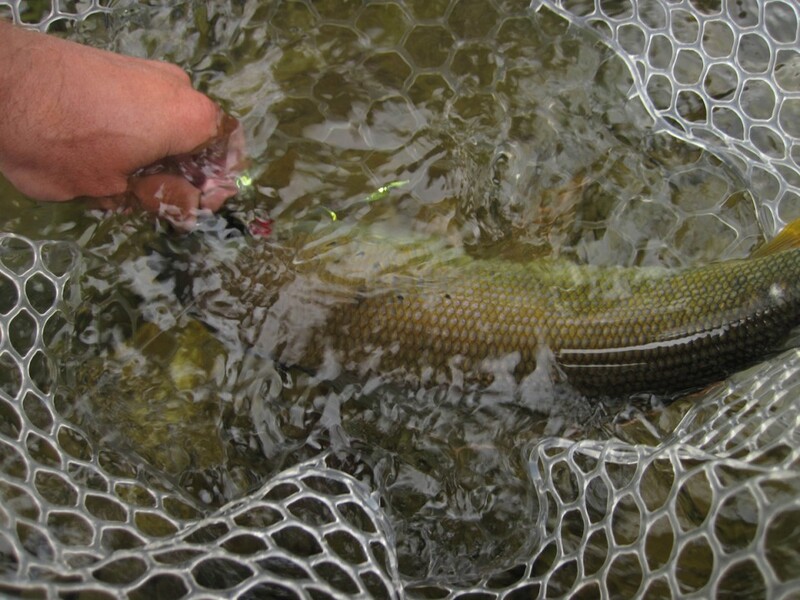 The Starry Flounder was taken on a fly upriver, in fresh water, several miles above normal brackish water. 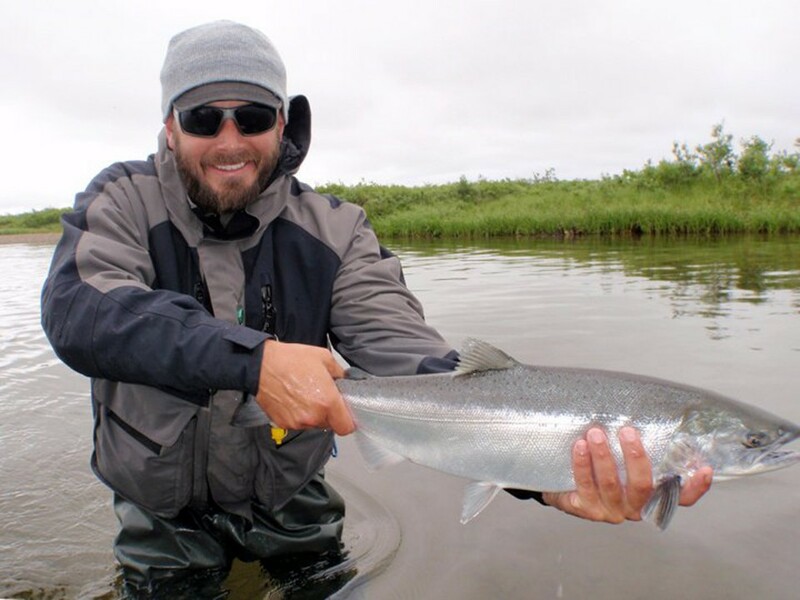 One iconic Rainbow Trout was taken on a fly below the normal brackish water/ fresh water junction although the tide was ebbing which perhaps explains the trout’s presence in the estuary about 500 feet above the Bering Sea mud flats.